Parasites are amazing. By taking advantage of the efforts of another species, parasites have been able to flourish in countless strange ways. For example, there is one parasite that lives only on the lips of lobsters (Symbion americanus). The fungal parasite, Ophiocordyceps unilateralis infects the brains of ants, causing them to climb high into the forest canopy, bite into a leaf and die. The fungus is then able to burst out of the ant’s head (much like something out of Alien) and rain down spores onto the forest floor. Rabies, is caused by a virus, that makes dogs more aggressive. This might seem a strange side effect until you realise rabies is spread, for the most part, by animal bites. Most infectious diseases, from tapeworms to the common cold, are the result of parasitic organisms affecting the body. They are usually associated negatively with health, as two organisms are now competing with the resources produced by one. This struggle, almost invariably, leads to an evolution arms race where the host evolves defences against the aggressor, while the parasite counter-evolves to outsmart its host once again. However, not all parasites are bad. Some, known as symbionts, have a beneficial effect on their hosts. A study, published in Science, describes a really nice example where the symbiont is so useful it has caused a significant evolutionary change in its host – the sweet potato whitefly. Flies infected with the symbiont (in this case a bacteria named Rickettsia) – srangely, produced more female offspring than normal. The bacteria is only passed from mother to offspring, and because it increases the fertility rate of its host, it meant Rickettsia had spread to the whole population in eight short years. One can see the advantage to Rickettsia – it causes more females to be produced who can spread copies of itself to more individuals. 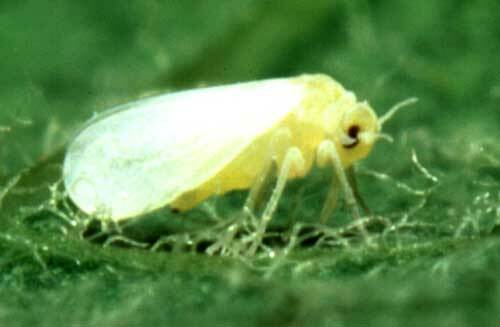 But what is the benefit of this relationship to the whitefly? Well, it turns out to be a big advantage. The presence of the bug meant that individuals not only survived longer, they also produced more offspring. Since this is the ultimate goal of all living species, it seems a pretty fair deal for both partners. The author’s of the paper believe this could be because Rickettsia helps fight off infections from other, less friendly bacteria. The Sweet Potato Whiteful is a major pest of crops in the US. It is hoped that by understand the interactions between the fly and its symbiont better methods of pest control can be developed.